Total existing-home sales were up 5.1 percent (seasonally adjusted) month-over-month. 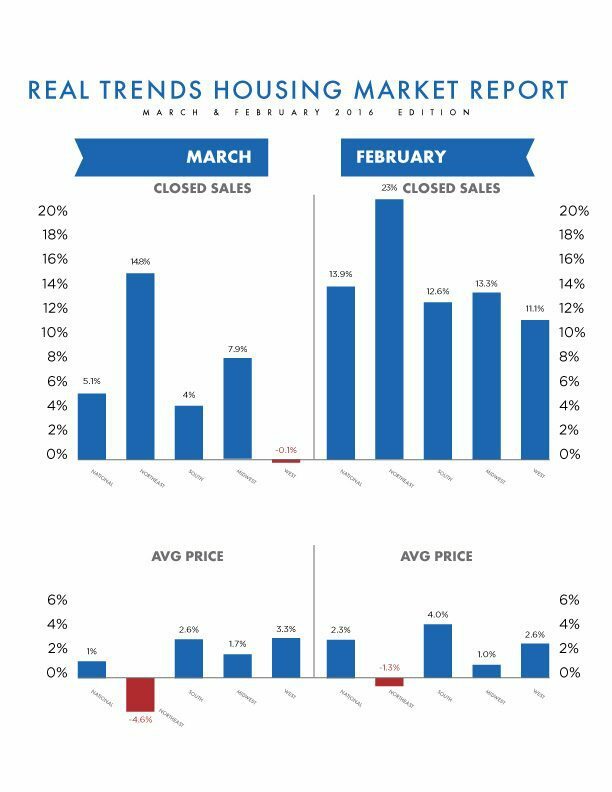 Sales are up 1.5 percent year-over-year. 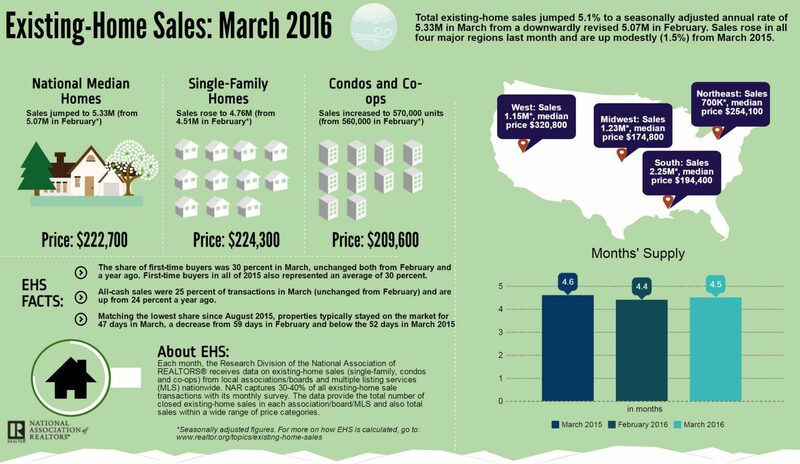 The median existing-home price for March was $222,700, up 5.7 percent year-over-year. The March ABI score was 51.9, up from 50.3 in February. The new projects inquiry index was 58.1, down from 59.5 in February. 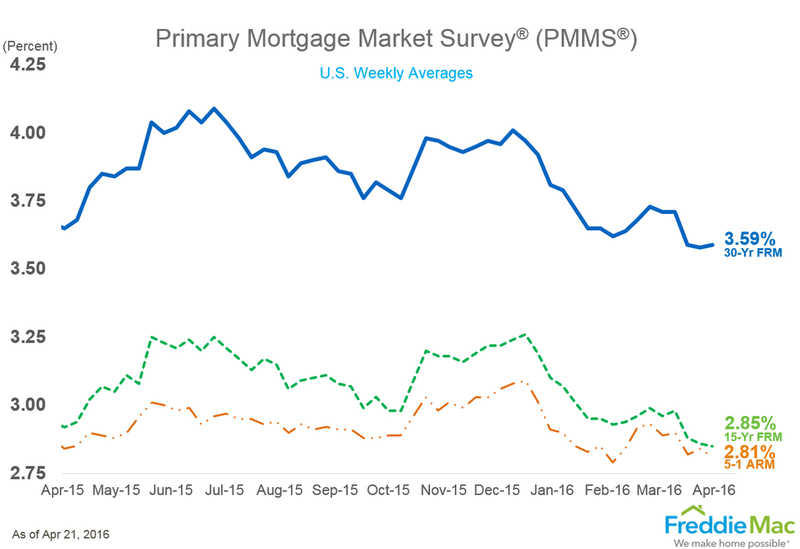 Mortgage applications increased 1.3 percent week-over-week (adjusted). The refinance share of mortgage activity increased to 55.4 percent of total applications from 54.9 percent. 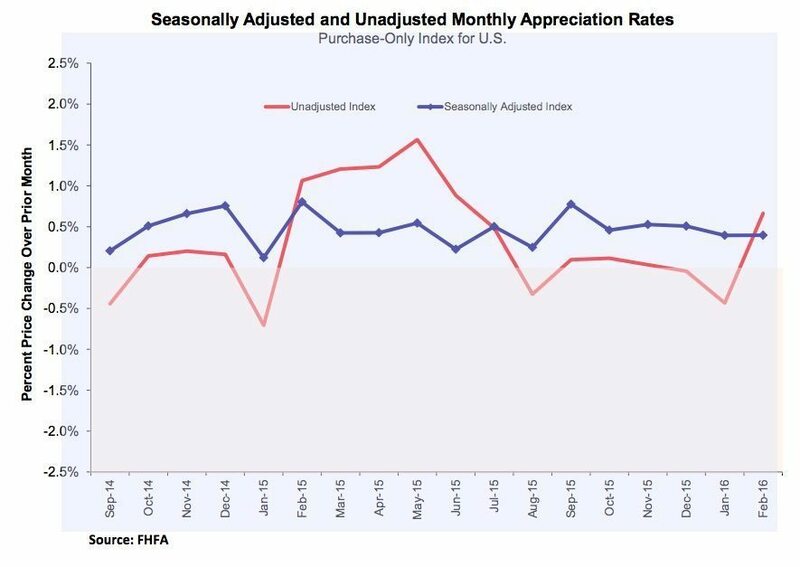 The average contract interest rate for 30-year fixed-rate mortgages with conforming loan balances ($417,000 or less) increased to 3.83 percent from 3.82 percent. 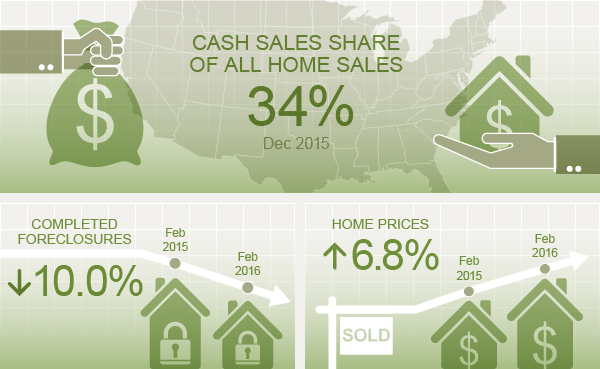 The cash sales share of all home sales from December 2015 through February 2016 was 34 percent. Completed foreclosures were down 10 percent year-over-year. 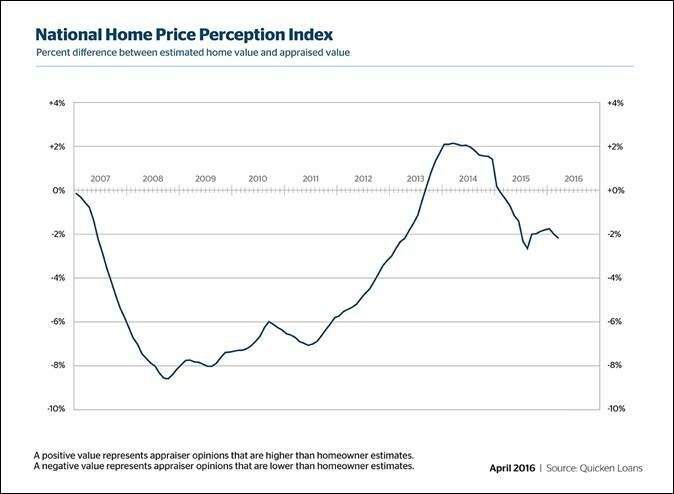 Home prices were up 6.8 percent year-over-year.